Strong-minded Leo: self-confident, creative and valiant! Leos (23rd July – 23rd August) have charm by nature. They are obliging, courteous, polite, expressively, diplomatic and discreet. Leos (23rd July – 23rd August) have charm by nature. They are obliging, courteous, polite, expressively, diplomatic and discreet. Their outer appearance must represent their attitude as well – the clothing they wear and the way they move and behave. They intend to be special, and they gain it presumably. They show performance as excellent actors. Leos are generous, open-minded, open-hearted and patronizing. They give warmth and security. 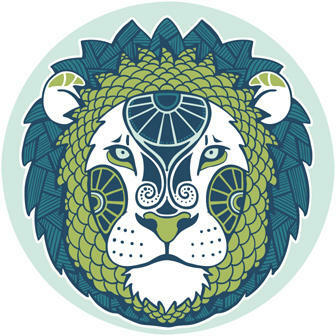 Male Leos are clear leaders that distinguish between other zodiac signs of the element fire. Leos are selected to be leaders.The Sagittarius is bound to be a leader – mostly in later years. Leos show their structure and system of work style by thinking over and thoroughness. Most work is done by himself – because he is convinced nobody does it like him. When he decided to do something and draw a decision, it is the result of thinking over and regular information. Some reproach a form of absolutism but he believes in his capacity and skills – and is always convinced that is the way it used to be. So he could be rigid and obstinate. It could happen that he could not change his mind and correct a decision because of his pride. Hence give him a hand and build a bridge of connection. It is important for him without losing his face start anew. Changing his point of view is a difficult result for him. Leos work very well and diligent or they do not work at all. Their functioning and work style implies to work with thoroughness or not at all, and so it could happen that they work never ends or that they miss the deadline - therefore they are estimated as lazy. The Leo has the part of being an entertainer more than a pioneer. Much more he represents the vanguard. But, however, he is courageous and adventurous. When they guide they direct, and on board, you will know where the journey goes to. Self-confident, creative, independent, optimistic, valiant, kind, generous, genuine, faithful, polite, and straight. Boastful, vain, domineering, arrogant, autocratic, extravagant, wasteful and pleasure-seeking.